Rising energy prices combined with falling winter temperatures provide a powerful incentive for us to find ways of reducing our energy bills. According to researchers at the University of Southampton, a key element in reducing our bills is to better understand how our home consumes energy. To help users gain this understanding, the researchers have devised a simple process which provides personalized advice with the minimum of time and effort – and at no cost. The research is a collaboration between the ORCHID project, based in Electronics and Computer Science, which is investigating how people and software systems can better interact, and the ‘Intelligent Agents for Home Energy Management’ project, which focuses on using autonomous software agents to improve energy efficiency within the home. Only three steps are involved in the process: first you register with the project online at https://www.myjoulo.com/ and you receive your free Joulo data logger (which looks and works just like a conventional memory stick). 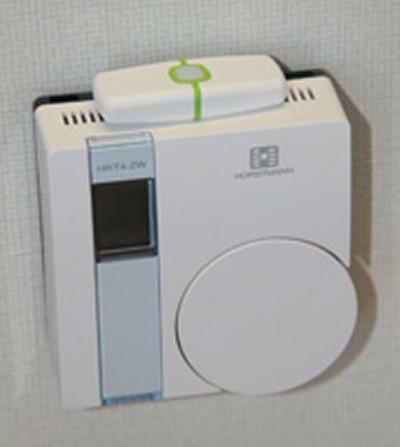 You place this on top of your central-heating thermostat and leave it for a week to collect data as you continue to use your heating as normal. You then log on to the website, upload the data from the logger, and receive instant personalised advice on how to reduce your heating bill. The logger can then be posted back to the researchers using the return bag – and postage is also free. “We’re giving people responsible energy advice at low cost and scale”, said Dr Alex Rogers, who is leading the project. “The system is very easy to use – we’re not installing something permanently and we’re not asking users to collect data themselves; all that’s required is that the data logger sits on top of the thermostat for a week.